Here’s a little snippet of what I do at work. I organize and re-organize apparel on these table fixtures, racks and walls with current and past merchandise as well as choose which merchandise gets displayed on the front. 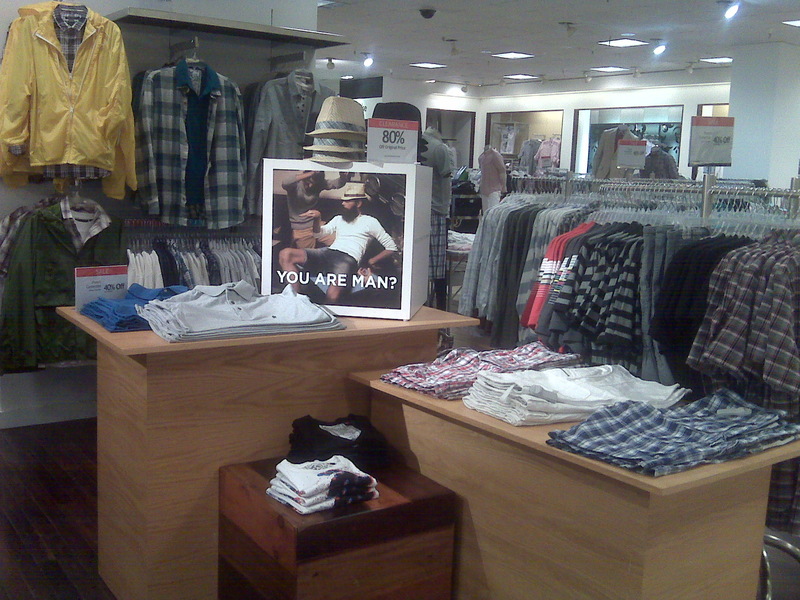 There are no mannequin displays which I am okay with. This display was set for the 4th of July weekend.